Second Amendment. The Second Amendment of the United States Constitution reads: “A well regulated Militia, being necessary to the security of a free State, the right of the people to keep and bear Arms, shall not be infringed.”100% Cotton. Silk Screen. Fantastic Tees is the only authorized seller of this product. BUYER BEWARE: All other offers are cheap counterfeit versions. 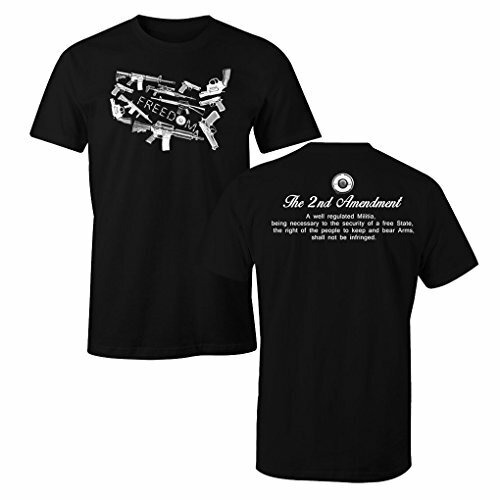 2nd Amendment Shirt. Rights to Bear Arms. Proudly printed and ship from our Facility in the USA. Copyrighted design by Fantastic Tees. Purchase only from Fantastic Tees to ensure you are getting a quality product.